Today is the extent worldwide as one of the best countries and towns in services business, as the best in London, UK and Ireland. The federal government Imperium of Diamond's own interest on enhancing the value of services in their own country, to learn in all countries around the world, among traders, between cultures and communities within the scope of our planet and at the same time in the direction of space activities and policies, so we can create the earth which is statistically recognized as the most advanced in the direction of servants and legal activities. 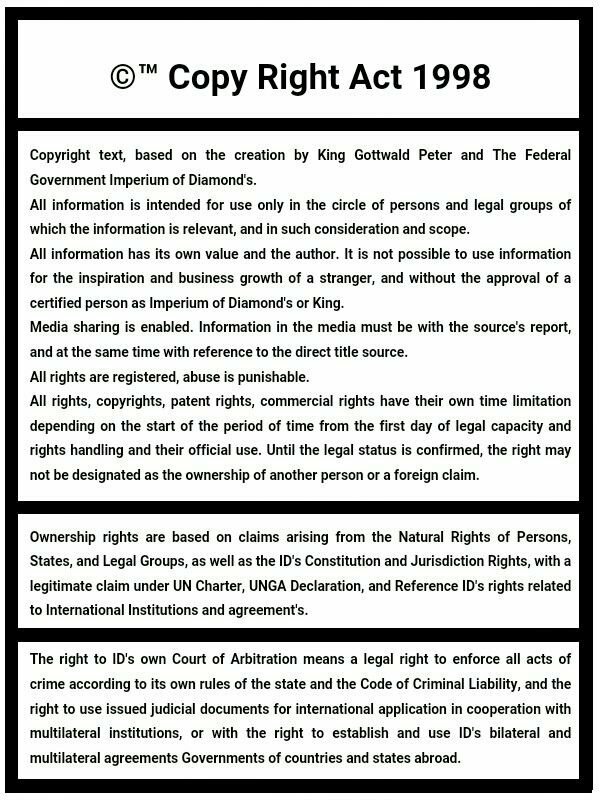 Imperium of Diamond's federal government because have plans to expand education at significant levels and share experience about new activities, extending the global program's for education and relations. Basic objective is to build markets that are secured to full employment and prosperity.